We’d love your help. Let us know what’s wrong with this preview of Across the Silence by James David Audlin. “Poetry,” a friend once wrote, “leads us past the indes Poetry is not only the most sublimely difficult but the most deeply personal of all word-arts. Close to being a spiritual autbiography, this collection mostly strives to express what lies beyond the reach of language. Previous readers have suggested similarities to Neruda, Paz, Rumi, William Blake, Rilke, and Rimbaud. Just as the mountaintop has a natural affinity for the sky it cannot touch, so poetry, as the highest form of word-art, has a natural affinity for that which is beyond words: beauty, horror, love, the sacred, and so on. Good poetry – unlike prose, which tends to revel in its own loquacity – economizes to the point that what little is said does not describe, as does prose, but points to, just as a finger points at the moon; ... for silence is as asymptotically close as we humans can get to the perfect truth. To ask other readers questions about Across the Silence, please sign up. A retired pastor, college professor, and newspaper opinion page editor, he is best known as the author of THE CIRCLE OF LIFE and translator of THE GOSPEL OF JOHN. 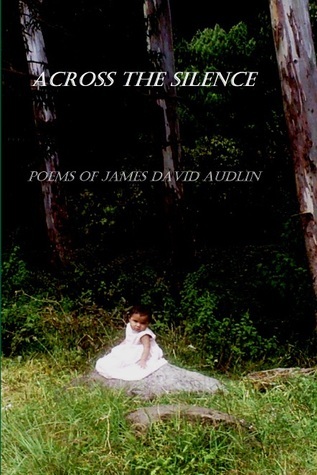 He has written about a dozen novels, several full-length plays, several books of stories, a book of essays, a book of poetry, and a book about hi James David Audlin is an American author living in Panama, after previously living in France. Fluent in several languages, he has translated his novel RATS LIVE ON NO EVIL STAR into French (PALINDROME) and Spanish (PALÍNDROMO).